Allen Pucket, who has attended protests hosted by Patriot Prayer, said on Facebook that any activists unwilling to engage in violence "need to stop organizing and attending rallies." Portland resident and far-right preacher Allen Pucket has penned an inflammatory Facebook post promising violence at future protests, possibly including the upcoming "Freedom March" and counter-protests slated to envelop downtown Portland on Sept. 10. "Any movement forward in the future will inevitably have bloodshed," he wrote on Facebook Monday afternoon. "Those not willing need to stop organizing and attending rallies." He also posted a video where he says he believes "God's going to wipe them out one day anyway." He goes on to say far-right organizers shouldn't cancel rallies because of violence and that "patriots" should come out into the streets and "fight" for their freedom of speech and freedom of religion. The comments follow a violent weekend in Berkeley, Calif., where Vancouver-based "Patriot Prayer" leaders Joey Gibson and Tusitala "Tiny" Toese had to be "rescued" by police from a crowd of angry protesters outfitted in all black who were launching punches and pepper spray. Gibson's group has planned a so-called "Freedom March" for Sept. 10 at the Salmon Street Springs in downtown Portland. 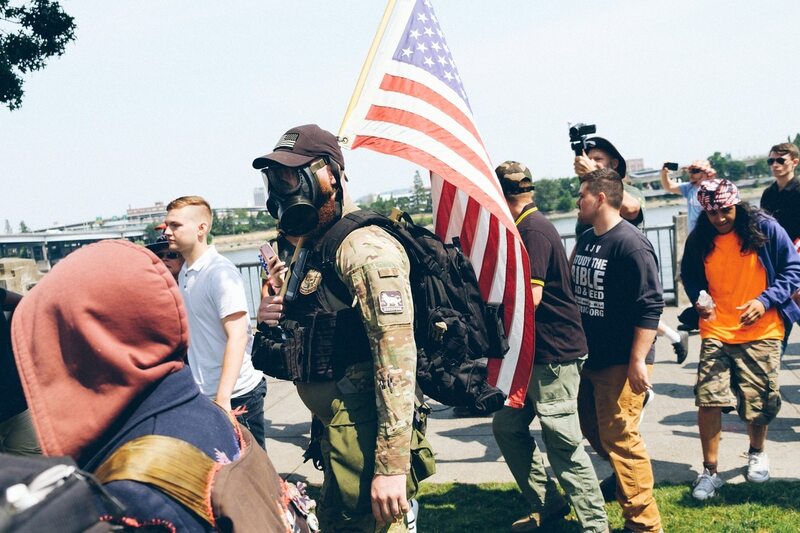 Although Gibson has vehemently denied that his organization embraces violence, regular attendees of Patriot Prayer rallies frequently clash with anarchists and antifascists in street brawls. Gibson did not reply to requests for comment. 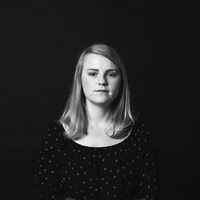 Toese, 21, was cited for disorderly conduct in the second degree on Aug. 6 for getting in a fistfight at one of the most violent far-right protests yet. His nose was bloodied in a brawl. (A video suggests he was punched by someone who mistook him for antifa.) He spent the rest of the evening threatening to give antifascist counter-protesters matching injuries. Two others were arrested for fighting at the protest. 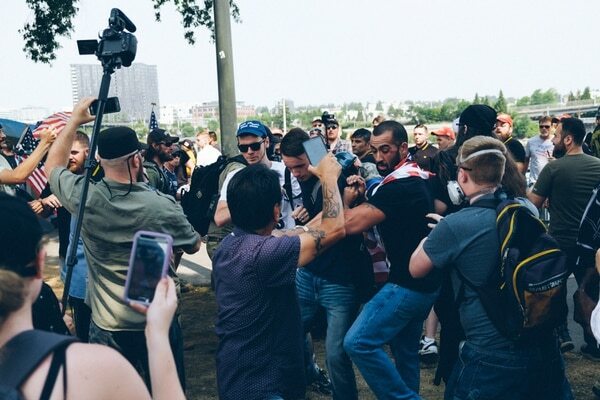 But most of the violence at far-right rallies in Portland has been limited to a handful of altercations between the most agitated actors on both the far right and left. Pucket's Facebook post suggests the next event could see more widespread altercations—and warns that anyone unwilling to go hand-to-hand should stay home. Despite their adversarial nature, Pucket's words are likely protected by the First Amendment, says the American Civil Liberties Union of Oregon. "The First Amendment protects the exchange of ideas, unless it is likely to produce 'imminent lawless action,'" says Sarah Armstrong, a spokeswoman for the ACLU of Oregon. The organization has been an outspoken defender of the right for activists, even extremists and neo-Nazis, to hold rallies. "This test protects all kinds of harmful, intimidating, and disturbing speech. The same test protects the rights of the rest of us to speak out against that vile speech." Pucket says that violence is inevitable. "Peace has never been an option," Pucket added to his post in a comment. "Too many niave (sic) people who need to wake up to the reality that the violent understand nothing but victory or defeat through violence." At least three counter-protests are planned for Sept. 10, by the Queer Liberation Front, Portland Stands United Against Hate, and Rose City Antifa.